A list of complaints made against local councillors was presented to the general purposes committee earlier this month. A total of eight complaints were received against Harrogate borough and parish councillors in 2018/19, ranging from alleged inappropriate Facebook comments to bullying behaviour towards council staff. A list of the complaints, and their outcomes, was presented to members of the general purposes committee for them to note. The list includes four alleged code of conduct breaches by parish councillors, and four from borough councillors. Four of the cases have been resolved, while two are still under investigation. Among the resolved cases was an instance where a councillor contacted the employer of the complainant, in an alleged attempt "to use their position as borough councillor to improperly obtain a disadvantage to the complainant". 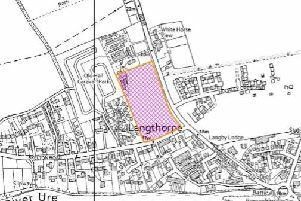 In another case, a complaint was raised against a borough councillor regarding the accuracy of statements made on social media and a meeting relating to a planning development. The matter wasn't referred for investigation as officers in the council's planning team were supportive of the accuracy of statements made, the report said. There was also a complaint made about a parish councillor regarding statements in a campaign leaflet during election time - but it was determined that the individual was not acting in his capacity as a parish councillor at the time, so there was no code of conduct breach. In another case, a complaint about a parish councillor's Facebook posts was dropped after the complainant chose not to pursue it. Another borough councillor was accused of speaking disrespectfully to council's customer services staff, but the complaint was dropped after the councillor in question wasn't re-elected in the 2018 election. Two cases are still under investigation - one of which was a complaint regarding alleged "bullying and disrespect" by a borough councillor speaking to a council officer. They'll be carried into the new financial year before being resolved.